If you’ve ever spent a night in any W Hotel, you have more than likely noticed a small collection of grooming items in your room from their Bliss Spas. One of which is their body lotion appropriately called Body Butter. The molecule Sodium hyaluronate (naturally found in the body) is its key ingredient, and has the capacity of holding up to 1000 times its weight in water. Applied topically to the skin it can reach deep down into the dermis to combine with, maintain and attract water; thereby, resulting in smoother and softer skin with decreased wrinkles, and an all-around fuller appearance. The refreshing fragrances of lemon & sage add the “icing on the cake” since they aren’t overpowering and will not interfere with your cologne. The texture seems thick, but it has the the capability of melting, leaving your skin feeling soft and hydrated, by not greasy. A great year round body lotion that is that much more effective during the winter months – a “Must Have”! Sounds great Craig! 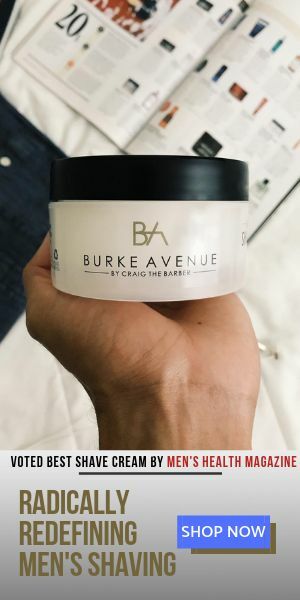 Quick question – is this product just for men? Great question! No it isn’t, it’s a unisex body lotion. However, the way it has been designed makes it a perfect choice for a man’s skin composition. So with this product, it’s ok to share!